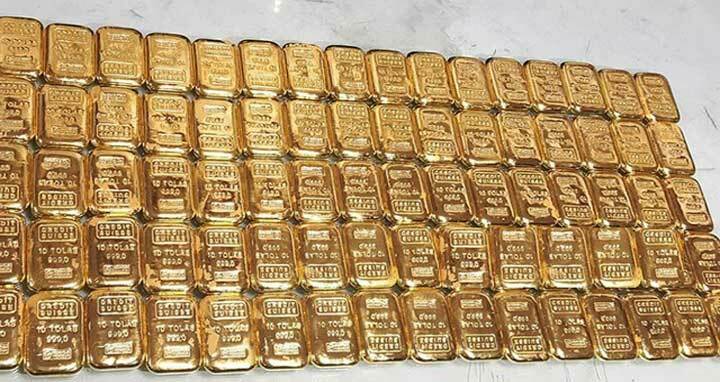 Dhaka 21 Mar, Abnews: Customs officials detained two Indian citizens with 24 gold bars weighing 2.874Kg gold bars from Hazrat Shahjalal International Airport on Wednesday morning. The detainees were identified as Gurjant Singh and Anil Kumar. Tipped off that two suspected passengers were identified a team of officials investigated the duo. During the primary investigation, they denied about the gold smuggling. Later, the law enforcers seized the gold bars from them after checking their bodies and bags. The approximate market price of the gold bars is Tk1.40crore. Dhaka Customs House authority confirmed the matter.